If you think your hospital issued iPad is only good for viewing x-ray and CAT scan results. Well, think again, there’s FLIPBOARD. 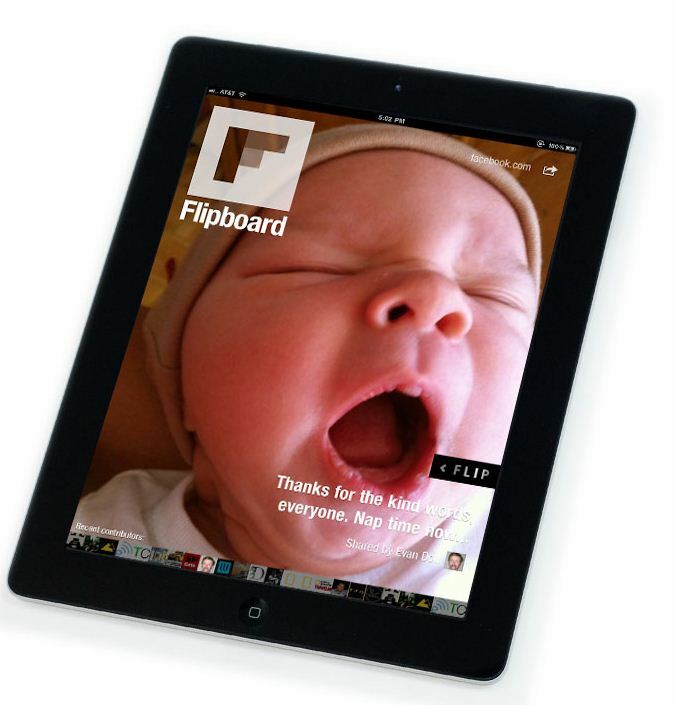 Flipboard is a social media infused magazine app for iOS devices. You might have heard of News aggregator apps, Twitter apps, Pulse, etc. But I am sure you have never seen anything like this. You pick the online news sources you like and the application presents it in a cool magazine format. It also works on your Facebook and Twitter feeds. Flipboard is the best reason to own an iPad. And the other best part is ……it’s FREE. Download it now from your friendly neighborhood app store. You will surely love it. Don’t forget to leave me a comment. I’ve had since it came out and I agree. It’s a fantastic way of reading through an otherwise mundane Twitter or Facebook feeds.